Be aware of portion sizes. Use this Serving Size Cheat Sheet as a reference when serving yourself at the dinner table or buffet. By monitoring portion size, you can save yourself quite a few calories, as well as limit other potentially harmful elements of food, such as saturated fat and sodium. This guide compares measurements to common objects, making it easier to visualize how much you should actually be serving yourself. Do not over-indulge. It is easy to eat a day’s worth of calories just from appetizers alone on Thanksgiving. To keep from overloading, be mindful of the calories of common foods per serving size. Instead of piling the high-calorie foods on your plate, aim to fill half your plate with lower calorie, fiber-rich foods; a quarter with protein; and a quarter with grains or starch. Filling up on high fiber foods like vegetables will minimize your calorie intake and promote weight maintenance or loss, healthy bowel habits, and lower cholesterol levels. However, this method of portion control is only effective if using a smaller plate. Choose a plate with a diameter no larger than 10 inches. Make healthy substitutions when able. Cut out some of the unnecessary calories, saturated fat, carbohydrates, sodium, and more by making small, tasty changes to your traditional recipes. 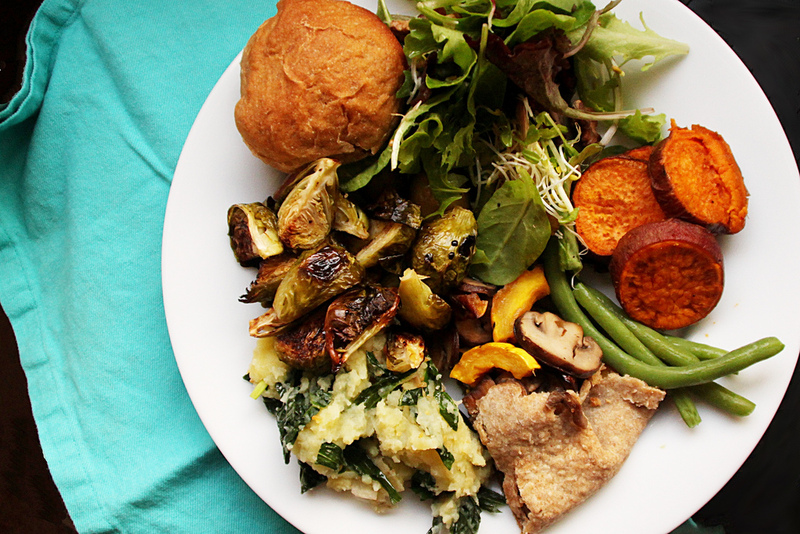 Check out a few of our favorite delicious and nutritious Thanksgiving recipes here. To learn more about the role of Clinical Nutrition at Magee, click here.